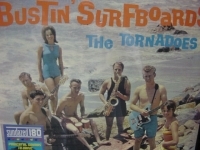 Classic Analog LPs - items 1025 to 1050 Shop MyMusicFix!! 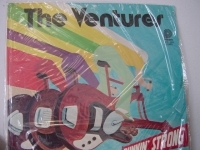 Classic Analog LP Pressing w/ small cut out in cover. 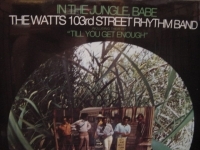 Tracks Include: "Wild Action" "Bird Swingers" "Bamba" "Lonely Karen" "Blue Guitar" "Moon Journey" "Puncher" "Cathy's Theme" "Runnin' Strong"
"The Watts 103rd Street Rhythm, In The Jungle Babe"
Classic Analog LP Pressing. Includes their hit single "Till You Get Enough". 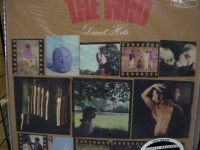 Tracks Include: "Till You Get Enough" "I'm A Midnight Mover" "Light My Fire" "Comment" "Everyday People" "Must Be Your Thing" "Love Land" "Oh Happy Gabe (Sometimes Blue)" "Twenty-Five Miles" "The Joker"
"The White Stripes, ST - CURRENTLY OUT OF STOCK"
Jack sings with a sometimes soaring, sometimes abrasive abandon that shows he really means the lyrics he's singing. Combine that with his fierce, dirty, reverb-soaked guitar playing and Meg's powerfully minimal start/stop drumming, and you've got a rock band that is primal, melodic, punk and sophisticated all at once. 17 tracks of blissful noise They are also one of the best live bands for your buck. Considering most of their songs are like 3 minute blows to your head, its really amazing that they can actually play a 1 1/2 hour set. They sweat, they rock, and they tear through their music like a sledgehammer. and all with a smile. 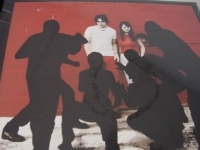 You will smile too and be thankful the white stripes are knocking on your door. The first two rockers, "Jimmy the Explorer" and a cover of Robert Johnson's "Stop Breaking Down", are like a breath of fresh air. There are other hints of greatness here as well, including the power blues of "Suzy Lee", the acoustic blues of "Sugar Never Tasted So Good" (the latter being a taste of what was to come with the follow-up record, 'De Stijl' (2000)), and the old-school blues (we're talking 1930s here) of "St. James Infirmary Blues". 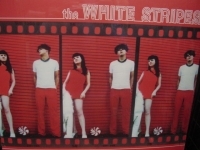 "The White Stripes, White Blood Cells - CURRENTLY OUT OF STOCK"
"The Who, A Quick One"
"The Who, BBC Sessions Live - Double LP"
"The Who, Direct Hits Mono"
THE WHO DIRECT HITS Limited Edition Sealed 150 Gram MONO LP Originally released in 1968 by fledgling UK indie label Track Records for the European market only, this compilation of five single sides plus various album cuts became an instant have on both sides of the Atlantic. Utilizing the original monaural mixes throughout, we've recreated one of the most sought after collector' items in classic rock. Rare mono masters of hits such as I Can See For Miles, Substitute, Happy Jack, I'm A Boy and Pictures of Lily never sounded so good. 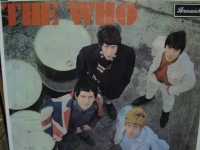 Mastered at Bernie Grundman Mastering in Hollywood by Chris Bellman and cut from the original full track mono takes on Classic's ALL TUBE MONO cutting system - no mono cut on a stereo cutting system here! Pressed on Classic's proprietary Vinyl profile this reissue puts you closer to the master tape than any other LP - get it while its Hot, baby! 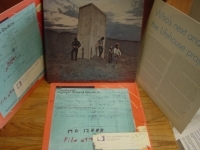 "The Who, Endless Wire - Double LP"
"The Who, Live at The Isle Of Wright (3 LPs)"
Classic Analog LP Pressing. Tracks Include: "Heaven And Hell" "I Can't Explain" "Young Man Blues" "I Don't Even Know Myself" "Water" "Overture" "It's A Boy" "1921" "Amazing Journey" "Sparks" "Eyesight To The Blind" "Christmas" "The Acid Queen" "Pinball Wizard" "Do You Think It's Alright" "Fiddle About" "Tommy Can You Hear Me?" 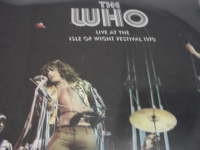 "There's A Doctor" "Go To The Mirror" "Smash The Mirror" "Miracle Cure" "I'm Free" "Tommy's Holiday Camp" "We're Not Gonna Take It" "Summertime Blues" "Shakin' All Over" "Substitute" "My Generation" "Naked Eye" "Magic Bus"
"The Who, Live At The Royal Albert Hall (4 LPs)"
Classic Analog LP Pressing. Recorded live at the Royal Albert Hall on November 27, 2000. All of the big hits are here along with some lesser-known cuts. 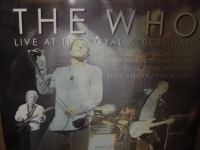 Special guests include Bryan Adams, Noel Gallagher, Kelly Jones, Kennedy, Eddie Vedder and Paul Weller. 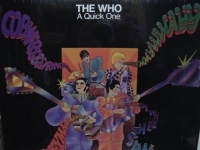 Tracks Include: (Disc 1)"I Can't Explain" "Anyway, Anyhow, Anywhere" "Pinball Wizard" "Relay" "My Wife" and more! 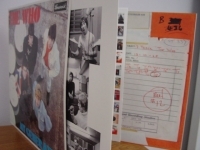 (Disc 2) "Drowned" "Heart To Hang Onto" "So Sad About Us" "I'm One" "Getting In Tune" "Behind Blue Eyes" and more! 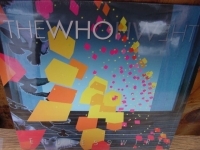 (Disc 3) "Substitue" "Let's See Action" "My Generation" "See Me, Feel Me, Listening To You" "I'm Free" "I Don`t Even Know Myself"
"The Who, My Generation (Delux 2 LP Set)"
New Digital Re-Master Pressing. 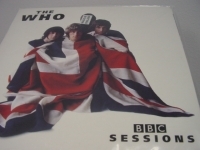 Tracks Include: "Out In The Street" "I Don't Mind" "The Good's Gone" "La-La-La Lies" "Much Too Much" "My Generation" "The Kids Are Alright" "Please Please Please" "It's Not True" "I'm A Man" "A Legal Matter" "The Ox" "Circles" "I Can't Explain" "Bald Headed Woman" "Daddy Rolling Stone" "Leaving Here" "Lubie" "Shout And Shimmy" "Heat Wave" "Motoring" "Anytime You Want Me" "Anyhow, Anywhere, Anyway" "Instant Party Mixture" "I Don't Mind" "The Good's Gone" "My Generation" "Anytime You Want Me". (Monaural Versions with Guitar Overdubs) "A Legal Matter" "My Generation"
"The Who, My Generation - 150 Gram - CURRENTLY SOLD OUT"
"The Who, Who's Next & The Liifehouse Project (3 LPs) - EuroSealed"
"Thelonious Monk Quartet PLus 2, At The Blackhawk"
"Thelonious Monk w Sonny Rollins, Brilliant Corners"
"Thelonious Monk, Big Band and Quartet In Concert"
Classic Analog LP Pressing. 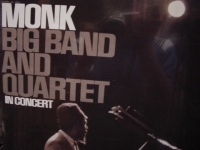 THELONIOUS MONK - MONK BIG BAND AND QUARTET - IN CONCERT - Limited Edition - OUT OF PRINT PRESSING. BIG BAND MONK IN CONCERT - This is one of pianist-composer Thelonious Monk's greatest recordings and represents a high point in his career. 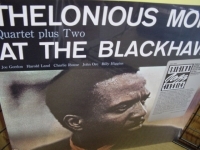 Performing at Philharmonic Hall in New York, Monk is heard taking an unaccompanied solo on 'Darkness on the Delta' and jamming with his quartet (which had Charlie Rouse on tenor, bassist Butch Warren, and drummer Frank Dunlop) on fine versions of 'Played Twice' and a previously unreleased rendition of 'Misterioso.' However, this set has its most memorable moments during the six full-length performances by a ten-piece group." -------------------------------------------------------------------------------- Track Listings 1. I Mean You 2. Evidence 3. (When It's) Darkness on the Delta 4. Oska T. 5. Played Twice 6. Four in One 7. Epistrophy Playing along with the Thelonious Monk orchestra, this fantastic live recording is over 61 minutes of pure jazz. Tracks Include: "I Mean You" "Evidence" "Darkness On The Delta" SIDE TWO: "Oska" "Played Twice" "Four In One" "Epistrophy"
"Thelonious Monk, 5 By Monk By 5 - CURRENTLY SOLD OUT"
Classic Analog LP Pressing. This second album of his from Columbia is one of his greatest. 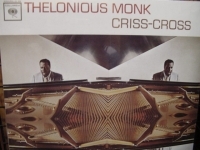 CRISS CROSS - Cut in a series of sessions from late 1962 through early 1963, this album features Monk backed by his longtime sideman Charlie Rouse on tenor and rhythm men Frank Dunlop on drums and John Ore on bass. The material is basically standard Monk. Heard hear are such Monk standards as "Hackensack", "Rhythm-A-Ning", and a superior Monk solo on "Crepuscule With Nellie". Overall the performances are exciting and energetic, the title track "Criss-Cross" stands out. This is fairly typical Monk from his Columbia years. He has long since established his personal style, but he still has a fresh imagination and produces fantastic performances throughout. Charlie Rouse is in top form as well. 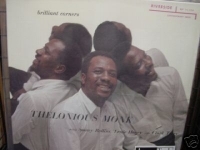 He was Monk's main hornman from the late 50's through most of the 60's. 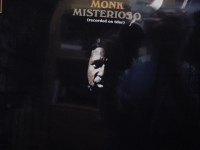 His extended stay within the realms of Monk's compositions and accompaniment pays off in a singular musical understanding between the two. 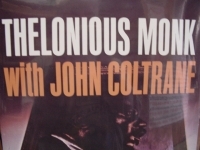 He was such a part of Monk's group sound that a few of these tracks would sound odd with another hornman playing them. This is very nearly a great Monk album, and is recommended to all fans, or those new to his music. Track Listings 1. Hackensack 2. Tea for Two - Thelonious Monk, Caesar, Irving 3. Criss-Cross 4. Eronel 5. Rhythm-A-Ning 6. Don't Blame Me - Thelonious Monk, Fields, Dorothy 7. Think of One 8. 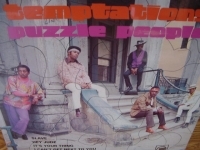 Crepuscule With Nellie The tight-knit, driving group that includes Charlie Rouse on tenor sax, John Ore on bass, and Frankie Dunlop on drums, is all woven together by the magic that is Thelonious' piano. The albums swings like mad from start to finish, a must! 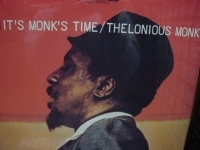 "Thelonious Monk, It's Monk's Time"
"Thelonious Monk, Misterioso (recorded live on tour)"
Classic Analog LP Pressing. Tracks Include: "Well, You Needn't" "Misterioso" "Light Blue" "I'm Gettin' Sentimental Over You" SIDE TWO: "All The Things You Are" "Honeysuckle Rose" "Bemsha Swing" "Evidence"